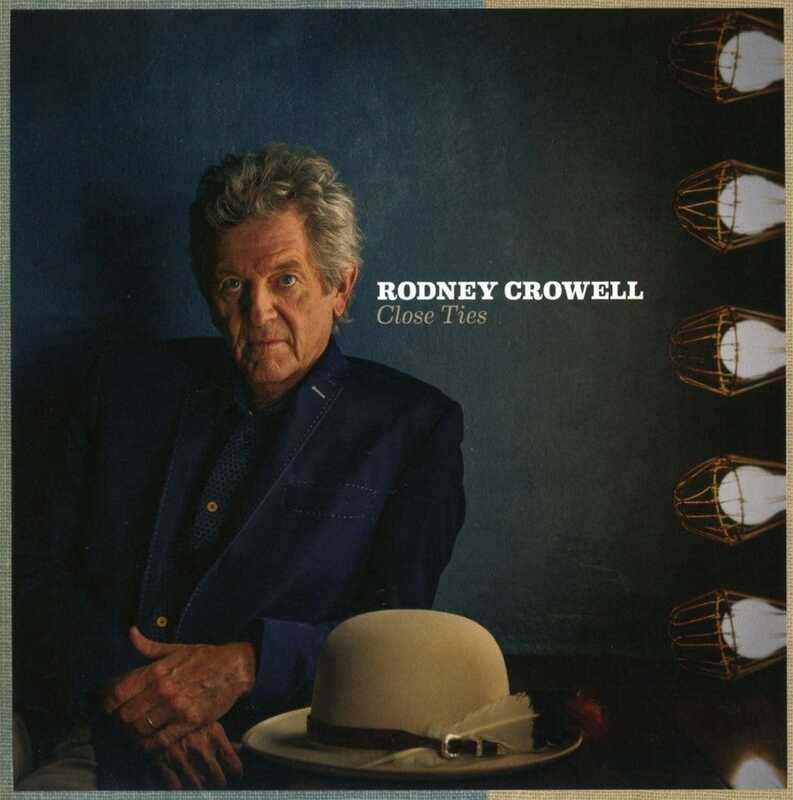 “Life is messy,” Rodney Crowell sang on the title track to his 1993 album and, nearly a quarter of a century later, he’s still singing about it. The Nashville by way of Houston singer-songwriter may not have invented the Americana genre but he has been a prime component of it since his 1979 debut, and even before with his ’70s work, backing and providing songs for Emmylou Harris. On Crowell’s first solo release in three years, he reflects on his own life with unflinching, at times raw, honesty. From the opening stripped-down Delta strains of “East Houston Blues” that describes his hardscrabble early days in that city to songs about relationships with his one-time running buddies Townes Van Zandt, Steve Earle, Guy Clark and especially Clark’s wife Susanna, the appropriately titled Close Ties recounts the many colorful relationships throughout his life, often in bittersweet terms. This song cycle of sorts is a ballad-heavy set with Crowell’s often remorseful vocals mixed way up front, the better to convey concepts that seem pulled from his memoir, 2011’s Chinaberry Sidewalks. So far, so introspective. But too often, Crowell seems to be stuffing his plentiful lyrics into songs that aren’t hefty enough to hold them. And by the time we’ve waded to the closing “Nashville 1972,” where he recounts the people he first ran into when moving to Music City from Houston, the regretful, repentant troubadour aspects of these tunes and detailed verses gets repetitious. Still, there are enough transcendent moments — in particular when Crowell teams with John Paul White and ex-wife Rosanne Cash on the beautiful, apologetic, doe-eyed “It Ain’t Over Yet,” and the melancholy “40 Miles from Nowhere,” enhanced like a handful of other selections with a string quartet — to make this a worthy addition to the catalogs of those who have followed Crowell’s extensive and impressive career as a roots singer, songwriter and producer over the decades. A few more mid-tempo rockers such as “Storm Warning,” with its cool, cautionary concept, backing female vocals and sawing, ELO-styled strings, would have been welcome amongst the more reflective “life is messy” themed tracks that dominate the program. But following the cliché of “write what you know,” Crowell’s brutally honest musings on his life and loves is a case-study that makes the reflective Close Ties a poignant and emotionally affecting portrait of one of American music’s most captivating, talented and honest artists.